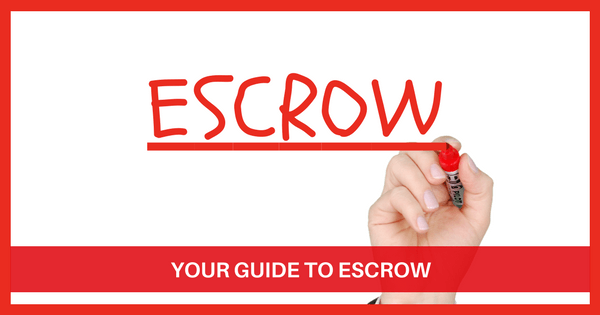 Escrow is a process where the Buyer and Seller create instructions and deposit documents and funds with a, neutral, third party until the instructions are fulfilled. In a real estate transaction, these instructions relate to the sale of a property. The Buyer doesn't pay a Seller directly for the property. The Buyer, or bank, gives the funds to an escrow company who acts as an intermediary. Escrow services are generally provided by a title insurance company. Therefore most Escrow companies are also Title Companies. Commonly referred to as Title & Escrow companies. The Title & Escrow company verifies that the title for the property is clear and all instructions in the contract have been fulfilled. The Title & Escrow Company will then transfer the ownership of the property to the Buyer by recording the transaction with the county and pays the Seller. This process protects all parties from various frauds and scams. All Title and Escrow companies are licensed and regulated by the State. The State's governing department can inspect an Escrow company’s records at any time. This provides further oversight of the company’s management and position as a neutral third party to the real estate transaction. The reliability, stability, and performance of the Title & Escrow company is important in order to protect the interests of all parties involved in the transaction. Once a contract, or Purchase and Sale Agreement, is completed and the Seller accepts the offer; your real estate agent or lender will open escrow. The Buyer's earnest money is deposited and the contract is placed in escrow. As a neutral third party to the transaction, the Title & Escrow company can only follow the written instructions agreed upon in the contract. The Title & Escrow company cannot alter the contract or create new instructions. This protects all interested parties. Holding title is how you wish your name to appear on all documents. You should inform your escrow officer and lender on how you wish to hold title. This includes spelling, middle initials, hyphenated last names and to include others/heirs via "et ux", "et al", etc. This allows your lender and the title company to prepare all documentation correctly. (Making changes later, like adding or deleting a middle initial, can delay your closing.) You may want to consult an attorney or accountant before deciding how you want to hold title. What Happens at the Title & Escrow Company? During the escrow process, the title department will begin to research and examine all historical records pertaining to the property. Barring any issues or unusual circumstances, a preliminary commitment for title insurance is issued. This indicates a clear title or lists any items that will need to be cleared prior to closing. The commitment is sent to you so you can review it. The managing escrow officer will follow the instructions laid out in the contract, coordinate deadlines, and gather all necessary documents/paperwork. For example, a request for payoff information (demands) is sent to the Seller’s mortgage company and/or any other lien holders. OPEN escrow and deposit the Buyer's earnest money in an escrow account. CONDUCT a title search to determine ownership status of the property. ISSUE a title commitment and start the process to record and/or delete items in order to provide a clear title for the property. CONFIRM that the lender has determined that the Buyer is qualified for a new loan. MEET all deadlines in the contract. REQUEST information for payoff of the Seller’s mortgage, other liens, HOA fees, etc. PRORATE the fees, such as property taxes, electric, gas, HOA, etc. These are contract specific, and will be listed on the settlement statement. SET appointments for the Buyer and Seller to sign documents. Usually at different times. You will sign the documents and deposit funds, if any are needed. REVIEW documents to ensure all the conditions and legal requirements are met; request funds from the lender. RECORD documents once all funds are deposited. Recording is done at the County Recorder to transfer the property to the Buyer. CLOSE escrow and disburse funds after recording is confirmed. This includes the Seller’s proceeds, loan and/or lien payoffs, real estate broker/agent commissions, recording fees, etc. PREPARE and send final documentation and title policy to involved parties. Title company works to remove liens & encumbrances listed on the Title Commitment to provide "Clear Title"